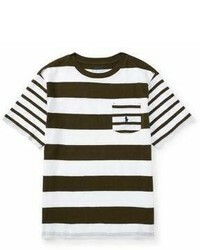 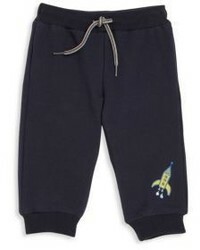 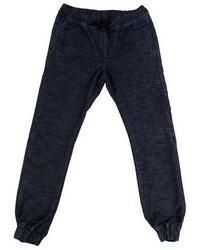 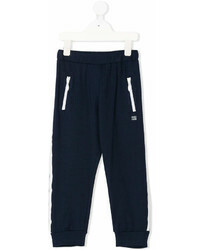 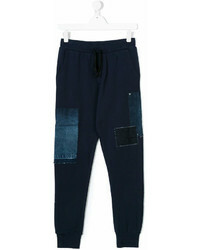 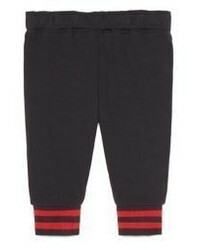 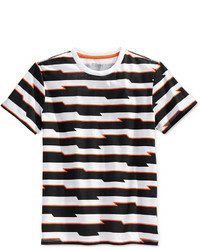 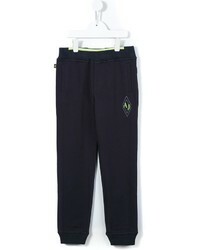 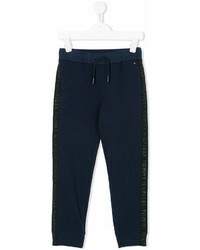 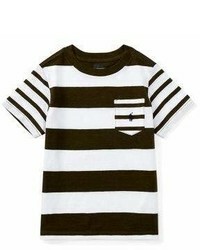 Suggest that your child wear a white and black horizontal striped t-shirt and navy sweatpants for a fun day in the park. 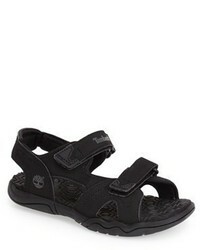 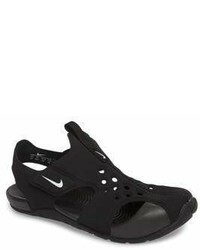 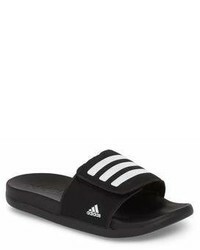 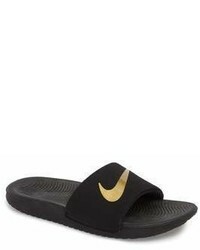 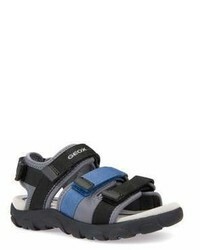 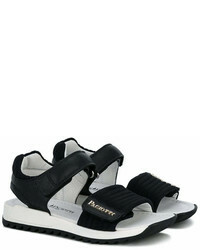 As far as footwear is concerned, suggest that your little man throw in a pair of black sandals. 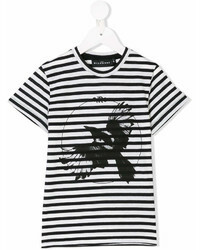 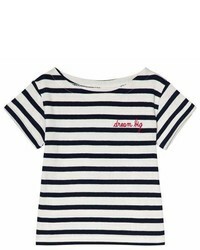 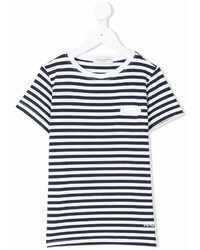 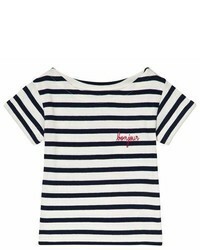 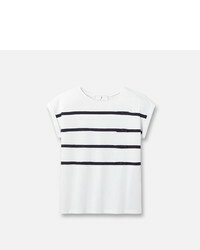 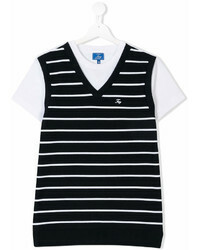 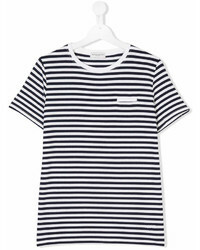 Suggest that your munchkin dress in a white and black horizontal striped t-shirt and navy sweatpants for a comfy outfit. 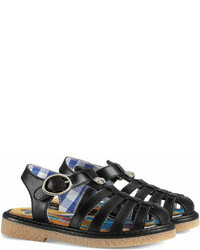 The footwear choice here is pretty easy: round off this getup with black sandals. 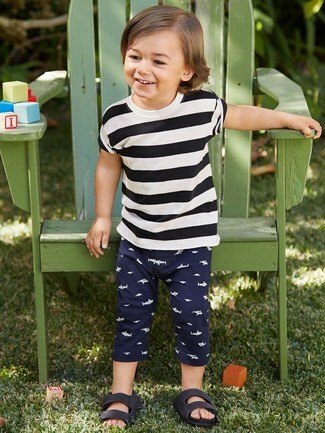 Suggest that your tot wear a white and black horizontal striped t-shirt with navy sweatpants for a fun day out at the playground. 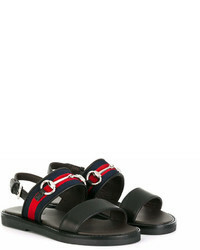 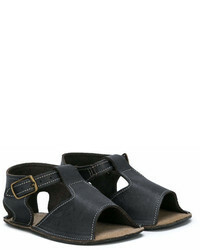 Black sandals are a wonderful choice to complete this look.